Dr. William Schell always appreciates feedback from his valued patients. To date, we’re thrilled to have collected 82 reviews with an average rating of 4.88 out of 5 stars. Please read what others are saying about Dr. William Schell below, and as always, we would love to collect your feedback. Dr. Schell is one of the most competent doctors I’ve had the pleasure of meeting with and actually makes you look forward to your surgery and recovery, instead of dreading it. Dr Schell gave me a very clear and succinct explanation of my condition and its cause. There was no ambiguity in his diagnosis. The at-home exercises prescribed for its treatment are a far cry better than surgery and a relief to hear. He always answers all my questions & never makes the visit feel rushed. Delightful "bedside manner!!" Excellent service and Dr. Shell is great! Always professional yet compassionate and doesn't just direct. Dr. Schell is not only professional, but highly talented as a surgeon with bedside manners than render unmeasurable in his field. Dr. Schell thoroughly reviewed medical options as well as physical therapy options in caring for my right knee. Dr. Schell is a great surgeon, he explained the process of having the surgery and made everything clear to me, cause I was stressing about it. The best part was i had no pain after surgery. Always prompt, always supremely professional, terrific staff. Who could think you would meet nurse, get X-Rays, see doctor, get treatment!, and be out of the office in 35 minutes. One of the best medical experiences I’ve ever had. Dr. Schell is funny, direct, and gives great advice. Great doctor, attentive and concerned. Great; otherwise, no detailed evaluation necessary. Survey seems to be a waste of my time in terms of practical medical evaluation. 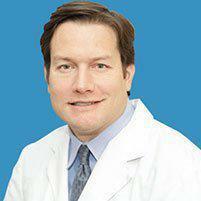 Schell is very experienced and direct to the point to resolve any orthopedic problem. Fantastic work, knowledgeable, and very friendly. Dr. Schell was affable and competent, thorough in his explanations and honest in illustrating the different options available for my condition. Dr. Schell is smart, kind and his office is run very efficiently.